This one is tough, but really forced me to think carefully and that’s why I like it. So many amazing things happened this year, but my favorite month was probably May. In May, I did my first round of clomid and we got our BFP! I’ll never forget that morning when I screamed and made my husband get out of bed to come see. He thought I had seen a spider in the bathroom and was annoyed at first, until he realized why I was freaking out. That weekend, I was in my good friend Laura’s wedding. 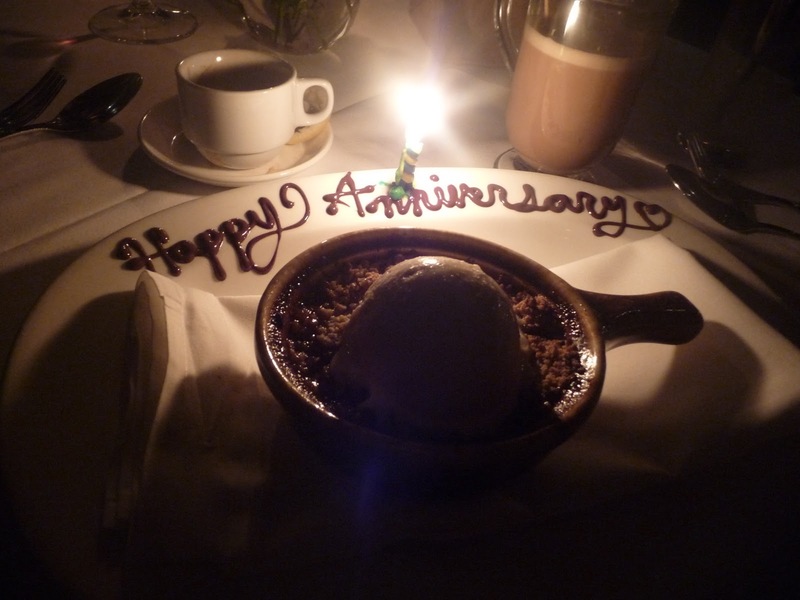 The next day, my husband and I celebrated our second anniversary at a really fancy restaurant. We talked about our baby and just had an amazing night. We were so happy and in love. I’ll treasure that memory forever. Why would I consider May my favorite month if it’s also the same month we lost our first pregnancy? Because we made it though stronger than ever. When it happened, we both called in sick, I cried for an hour, and then we went out to breakfast. I didn’t sink into severe depression, I held my head up and leaned on my husband and we found strength in each other. These are the things that bind us together. These are the experiences that shape us as human beings. This is the month I also nailed my demo lesson for my new job. The school I applied to is one I’ve wanted to teach at since I was in high school, but I never thought I’d be good enough. Once I realized that I wowed them in the demo lesson, I found a confidence I never knew I had. It was empowering and a little scary. And as you know, I got the job! My favorite month isn’t the month where everything went my way, but it’s the month where I believe I grew the most this year. I’ll never forget the things that happened that month and I’m glad about that. I don’t want to forget the hard times, I want to remember, learn, and grow.